Why Are Our Bodies Misaligned? Everyday life stress. Trauma to the body. Lifting things. Crossing your legs. Cell phones, computer and tablet usage. Sleeping. Let’s look at some of these causes and how to strengthen your posture for better health. Stress in our lives can create havoc with our bodies. Work, family, health, posture – they can all affect how we move and rest. Toxins can create triggers in our systems through the environment and what we eat or put into our bodies. By not drinking enough water to flush out the toxins, not working out (or working out too hard) we are stressing our bodies into closing in on itself for protection. How many times have you walked around feeling like you are warding off a body blow? That’s due to stress and the fight or flight response. Your body is preparing to protect itself in whatever way it can. There are long-term effects of poor posture. 300,000,000. That’s how many cell phones there are in the U.S. And with that number comes body stress and strain from holding your head and shoulders in certain positions to type onto the screen and read text messages. The head weighs about 10lbs. For every inch forward, it adds another 10lbs. Here’s an example: hold a 10lb bowling ball. What way is it easier to carry? Close to the body? With your arms stretched out? That’s right – close to the body is better as it is supported by your body better than by just your arm. Your head feels heavier when you tilt it forward as it isn’t aligned. Your muscles will also fatigue sooner. So, read from your screen with the phone held up in front of you instead of down toward your waistline. 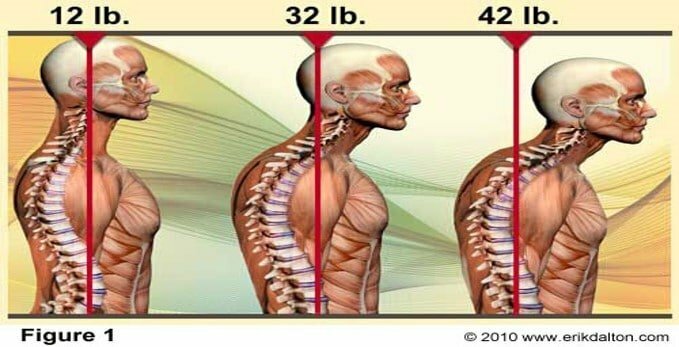 Many things aid or hinder your posture when you sit at a computer for extended periods of time. Head position, mouse hand alignment, shoulders up or slouched, sitting position, screen level to your eyes, chair level. 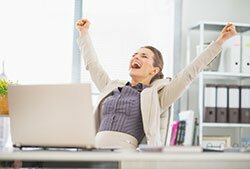 The best way to prevent the stiffness and soreness of sitting too long in a chair? Take a Break. Yes. That’s it. Just taking a frequent (every 20-30 minutes) break can benefit your posture and fatigue level 10-fold. Just stand for a few minutes, stretching your arms, neck, back or legs. Go for a walk around your office or around the block. This will allow your muscles to readjust and help circulation. Yes. Sleeping is something that can cause our bodies to become misaligned. It seems a little odd that just laying on your bed can affect your posture. But here are some tips on what is best for your spine. How long should you try a bed in the store that you both like? How often do you flip or rotate the mattress? How Does Posture Affect Your Body? Our bodies are a communications network. There are signals from the brain to the body and back through your nerves. Your posture tells your body when it is working well or not. Did you know that slouching in men and women can reduce the production of testosterone? Crazy, you say? There are also physical stresses that affects your spine and muscles, pulling them out of alignment. Your muscles will pull to one side and cause issues over time. In the “straw that broke the camel’s back” analogy – it is not the one piece of straw but use over time that affects you and that includes repetition of movement. 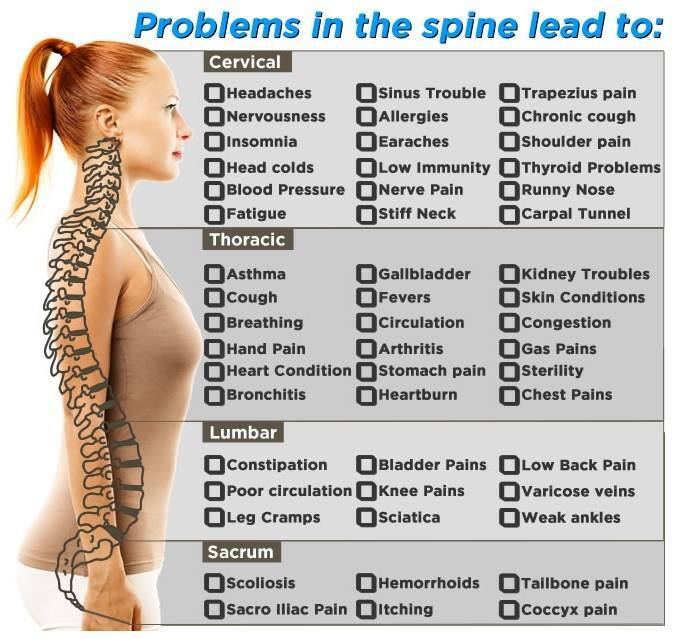 Benefits of spine alignment are plentiful. There are different ways to improve your posture. One of the best ways to correct and maintain posture health is to get a spinal adjustment. It will put the spine back into alignment, so it can handle stresses; builds your muscles correctly which will promote proper posture; improves the communication between the brain and the body. 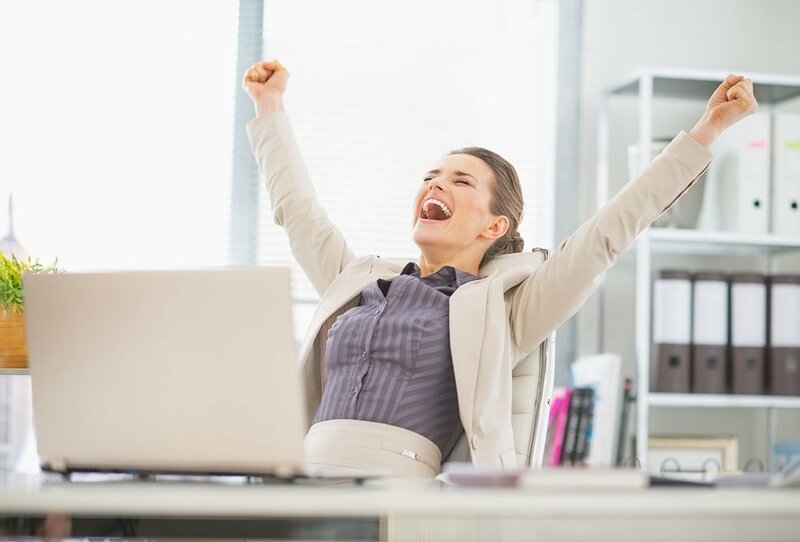 For premier alternative healthcare in Longmont, Shimer Chiropractic specializes in helping you maintain your posture and alignment for a healthier, happier you.